The Light Weight Super Sports Concept is essentially a design study by Honda. 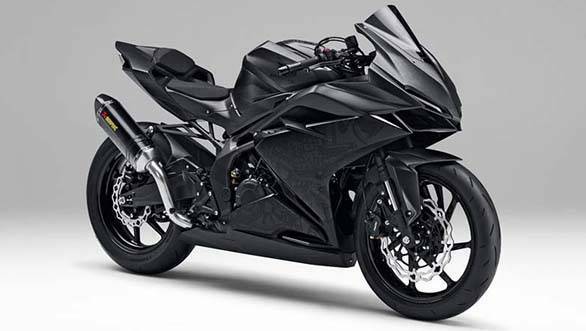 This concept gives an idea of what to expect in the future from Honda's lightweight super sport motorcycles like the 250 and 300. This motorcycle also marks a change in Honda's design philosophy from a simpler design to a more aggressive one. The Light Weight Super Sports Concept is a single seater that uses a trellis frame and a trellis rear subframe welded to a pivot plate. 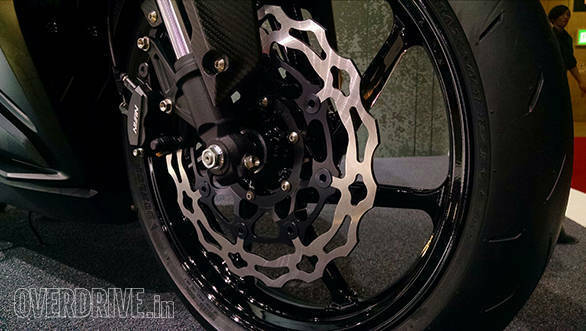 The pivot plate is probably made of steel rather than aluminium, considering that it would be tougher to weld the steel from the frame to aluminium. To stick to the lightweight nature of this concept, Honda has also used an aluminium swing arm. The brakes on the Light Weight Super Sports Concept are wavy discs lacking the ABS rings. 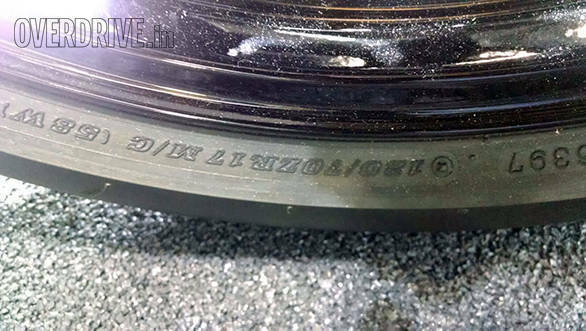 However, considering safety regulations and practicality, we can expect these discs to be replaced with Honda's conventional brakes with ABS on the production-spec model. Honda has always believed in giving equipment that is just sufficient to handle the bike, rather than following the crowd and going with what's cool but unnecessary. This practice is seen in the brake callipers which are mounted conventionally rather than the ubiquitous radial mounting. 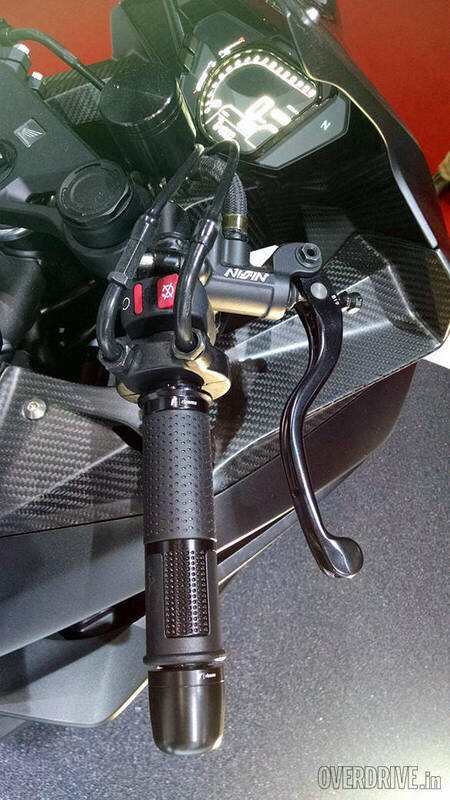 Also seen is the expensive Nissin master cylinder setup adjoining the front brake lever. 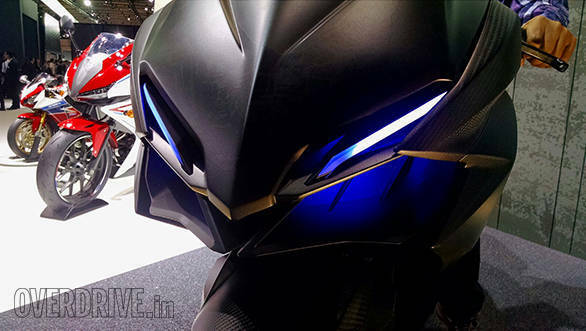 Although this does look pretty cool, it probably won't make it to production considering that this concept is the base for a more affordable motorcycle. 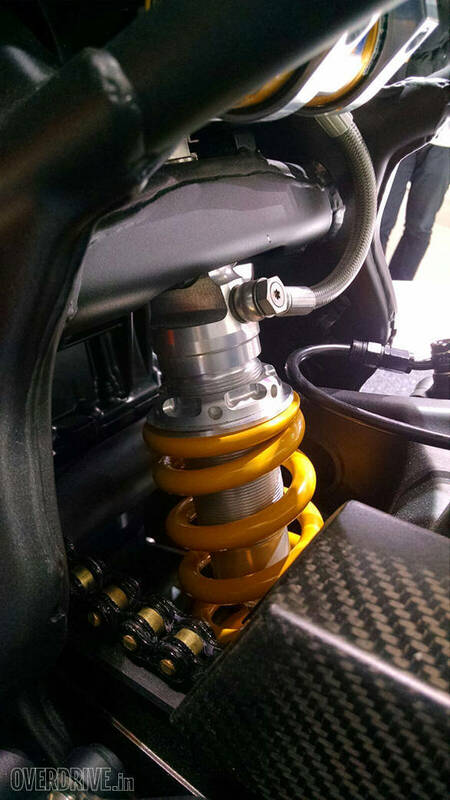 The suspension setup on the concept is pretty high-end too. 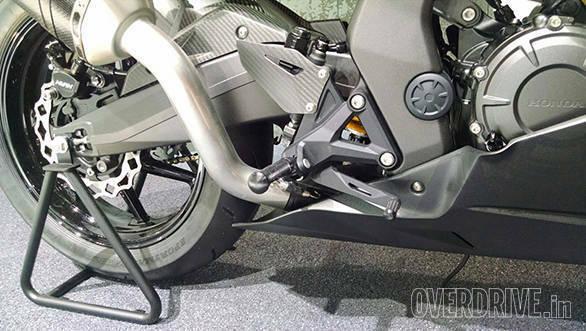 Up front, the Light Weight Super Sports Concept gets inverted telescopic forks, which is not very typical of Honda, while the rear suspension is a remote reservoir unit. 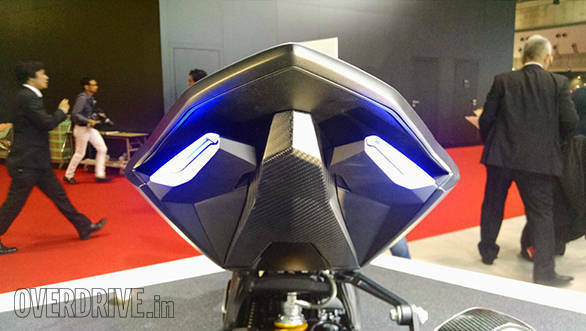 As interesting as it would be to see this setup on the production-spec motorcycle, we don't expect it considering how it would add significantly to the cost. Although Honda hasn't revealed any specifications on the engine, we can see from the images that it has a small radiator, which means that the engine is either fully liquid-cooled or partly-oil cooled. The old-school upswept exhaust seems like an aftermarket fitment from Akrapovic, which would probably be replaced in the production-spec bike by a shorter exhaust with a stubby end can to help with mass centralisation - an aspect Honda is known for. 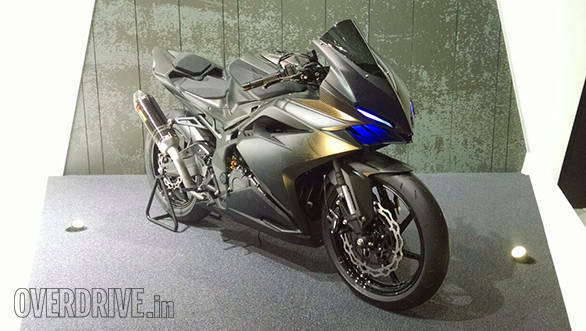 The Light Weight Super Sports Concept gets several panels that mimic a carbon fibre finish. Although we aren't sure if the concept uses actual carbon fibre, the production model will probably get plastic panels with hydrographics to give a similar effect. 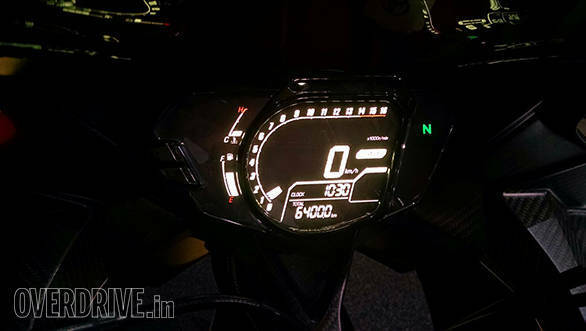 Honda has also given the concept a fully digital instrument panel, which is certainly a nice modern touch. However, we'll have to wait for the production-spec version to judge the readability in the sun. While Honda is definitely moving to a more aggressive design philosophy, we do hope that the manufacturer makes a similar change in the way its motorcycles ride and feel.